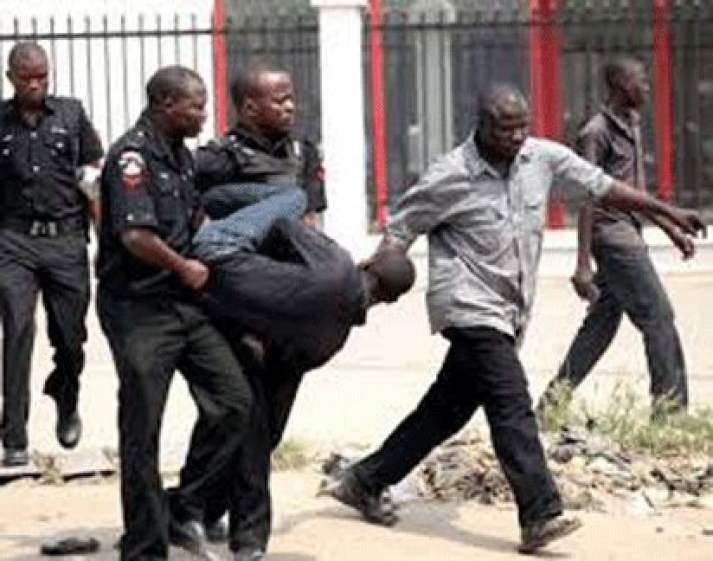 The Oyo State Police Command have arrested a suspected member of a robbery gang on his wedding day. Olumide Asiyanbi, 42, told newsmen that nemesis caught up with him when he was at the registry to sign the dotted lines. The police alleged he was a member of a six-man-robbery gang who had terrorised residents of Challenge area of Ibadan, the state capital. The state Commissioner of Police, Muhammed Katsina, said the suspects included a 62-year-old Ghanaian. Asiyanbi confessed that he had been involved in 10 different robbery attacks before he was arrested. He said, “I was arrested on my wedding day. I met the gang leader, James Agba, last year. He told me he knew how we could be getting regular money. He then initiated me into the gang. I have taken part in at least 10 operations since I joined them.